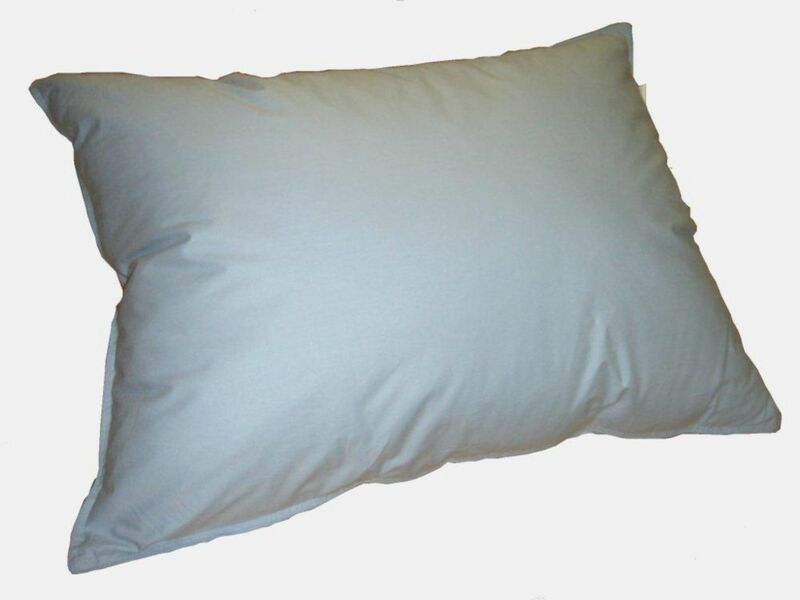 Ambassador down-like Microfiber pillow with 100% cotton casing available in 4 sizes. Size: Queen - 20 x 30". 233TC Feather Pillow, Blue, King Royal Elite pillow contains small white goose feathers and a 100% down-proof cotton casing. Hypoallergenic. Available in 3 fashionable colours. Sizes and weight: Standard - 20 x 26" - 35 oz, Queen - 20 x 30" - 42 oz, King - 20 x 36" - 50 oz, Euro - 26 x 26" - 50 oz.